In 1891, a group called the Phylax Society was formed in Germany. Its aim was to develop better strains of sheep herding dogs by selecting the best dogs available and trying to standardise the types of sheep herding dogs. 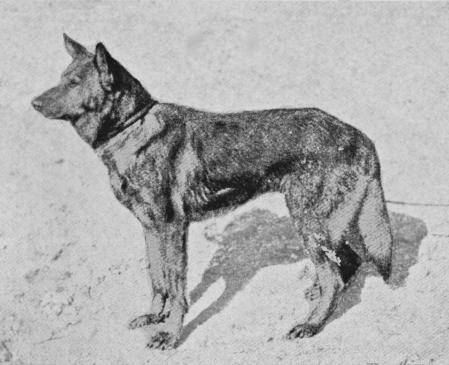 This group disbanded in about 1894, but may have lain the foundations upon which the German Shepherd Dog as we know it today has been developed. Capt. Max von Stephanitz, however, is considered the "father" of the breed. He admired the intelligence, strength, and ability of many of the native sheepdog strains found in a number of local areas but was unable to select one which held all of the qualities which he admired. In 1899 he saw a dog which he found most impressive and purchased him. 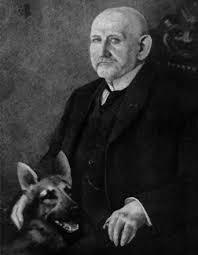 The dog was called Hektor Linksrhein but was later renamed Horand v Grafeth by Von Stephanitz, who used the animal as the basis on which much future development would be made. Horand was greatly admired by many breeders who were quick to use him in their breeding programs. Not surprisingly, he became the dog that best exemplified the goals of early breeders. Not long after this, the Verein fur deutsche Schaferhunde or SV as it is called was formed with the aim of producing a strain of dog of uniform structure and working ability which would embody all of the best that the sheep herding dogs had to offer. This was a milestone in the breed’s history and marked the beginning of a new era for it. From this beginning, the German Shepherd Dog, as a specific breed, had arrived. The popularity of the German Shepherd Dog today is attributed to its outstanding characteristics of sound nerves, alertness, self-confidence, trainability, watchfulness, loyalty, incorruptibility, courage, fighting drive and hardness. Traits such as these make the GSD ideal as a superior working dog, guard, companion and protection dog, herding dog, service dog and an excellent overall pet. The German Shepherd Dog is a versatile working dog capable of a very wide variety of tasks and with a proud history of development and achievement.